Come and try orienteering in your own time on our new Permanent Orienteering Courses at Kinnoull Hill. Maps can be downloaded from the British Orienteering Website Our old "Woodland Challenge" permanent courses at the Hermitage (Dunkeld), the Knock (Crieff) and St Magadalene's Hil (Perth) are currently out of action due to storm damage and forestry operations and we do not recommend their use. The latest in the Club Coaching series hosting the East of Scotland junior coaching squad. Not going to the JK in Sussex? Join us in Perthshire for some quality orienteering on Perth's Moncreiffe Hill. Final detaisl for Sunday's event are on the website Events section and on facebook. TAY triumph in Compass Sport qualifier! We’re proud to have qualified at the weekend for the national final of the Compass Sport competition, following some excellent results from club members during the Scottish heat at Greenock. Coaching - first session of 2019 coming up! A reminder that the first of our 2019 coaching sessions for club members is coming up this Saturday 16 March. 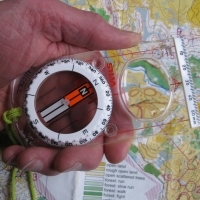 The 22nd Scottish 6-day orienteering event is being held in Strathearn, between the 28th July and 3rd August 2019. Events will be staged in a number of new areas, including ancient oak woodlands and stunning mountain scenery to the west near the pretty, picturesque, conservation village of St Fillans (in the northeast of Loch Lomond & The Trossachs National Park). 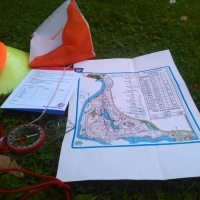 Tayside Orienteers seeks to encourage and promote the sport of orienteering in and around the Tayside area, including Perthshire and Kinross, Angus and the City of Dundee.